As the weather is growing colder again, I'm drinking much more hot tea. 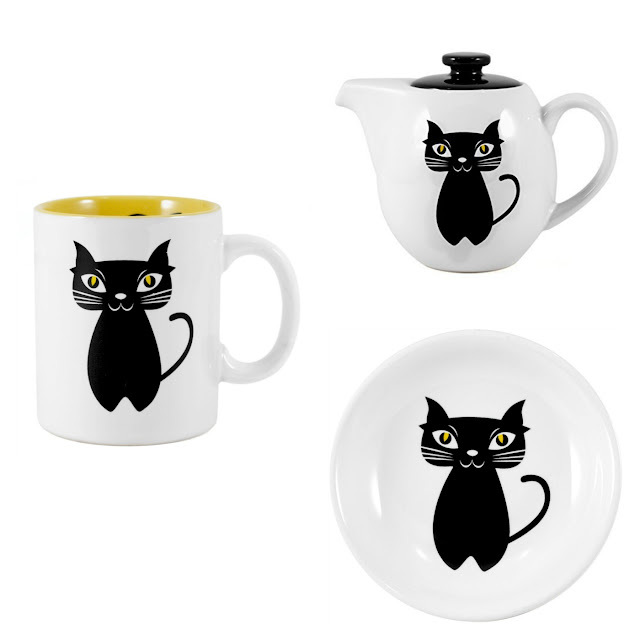 Perhaps I will treat myself to these adorable Cat Noir tea things from Omniware. The Cat Noir line includes a 24 ounce teapot, a set of four mugs, and a "tea caddy infuser holder" which is just a fancy way of saying "a plate." You can also shop for these tea things on eBay.